Mike Morris is Co-Director of Writing on the Wall, organiser of the George Garrett Archive Project and Playwright. Tony Wailey is a writer, historian and former advisor and teacher of mature students at Adult Education Colleges and Universities of Middlesex, East London and University of the Arts. Andrew Davies is Lecturer in Human Geography at the University of Liverpool. 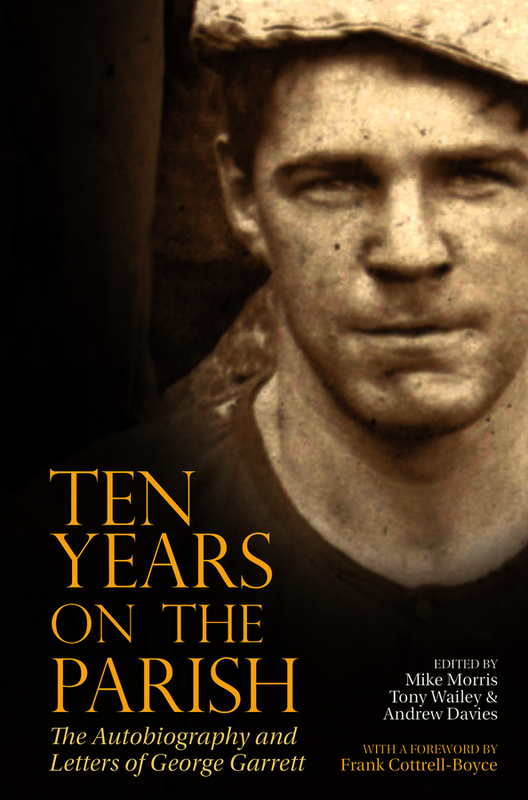 George Garrett’s autobiographical work Ten Years On The Parish, published here in full for the first time since it was written in the late 1930s, shines a light on the hardships and poverty endured by many in the years between the wars. Garrett was a merchant seaman, writer, playwright and radical activist, who was central to working class politics and culture in the 1920s and 30s in Liverpool and beyond. He travelled the world, wrote a series of documentary reports about poverty and struggle in the 1920s and 30s, three plays influenced by the new realism of Eugene O’Neill, and a series of short stories, which led George Orwell, who met him while researching The Road to Wigan Pier, to say he was ‘very greatly impressed by Garrett’. In the late 1930s he was a founder member of Liverpool’s Unity Theatre. In Ten Years On The Parish Garrett touches upon his time in New York in the early 1920s, gives a graphic account of the unemployed struggles in Liverpool, including The First Hunger March in 1922, and reveals how he personally, as well as others in the working classes, struggled to survive in Liverpool as it was caught up in the great depression of the 1930s. Published alongside Ten Years On The Parish are a series of letters exchanged from January 1935 to July 1940 between Garrett and New Writing editor John Lehmann, which reveal a unique insight into the relationship between a working-class writer and his editor. Both original texts have extensive introductions by the editors, as well as a foreword by Frank Cottrell-Boyce, which establishes the context and importance of Garrett’s work. This publication gives long-overdue credence to Garrett’s importance as a writer and radical, whose work occupies a unique and significant position as the central point of a compass linking Liverpool's radical, literary, cultural, and maritime history.